the word lavender originally stems from from the Latin word lavare which means “to wash”. Lavender is an herb native to northern Africa and the mountainous regions of the Mediterranean. The herb is highly regarded for skin and beauty and is commonly used in fragrances and shampoos to help wash and purify the skin. Some of the most important health benefits of lavender include its ability to relieve stress, improve mood, promote restful sleep, reduce inflammation, lower skin irritation, prevent infections, eliminate dandruff, and soothe stomach bloating. Anti-Inflammatory Qualities: Everyone is looking for a reliable way to relax the body and mind, and lavender takes care of both. If you add flowers to your bathwater and take a nice long soak, the anti-inflammatory components of lavender can help to reduce inflammation throughout the body and easy hurting muscles. The anti-inflammatory and antioxidant properties of lavender are quite potent, and this is one of the most trusted applications of lavender flowers. Sleep Issues: If you regularly struggle with insomnia, apnea, or restless sleep patterns, it can seriously impact your life. By brewing a few lavender flowers in hot water, you can steep a wonderful tea that has been used to induce sleep and relaxation for thousands of years. This is closely linked to the flower’s impact on the nervous system, and can also help to clear your mind of negative thoughts or clutter. It is commonly combined with meditation techniques, either in essential oil or aromatherapy form. Skin Care: An easy, mobile way to always take care of your skin is to fill a spray bottle with lavender flowers. When your skin is feeling dry or irritated, simply spray some of the infused water on the area and enjoy the quick relief that it can provide. This can also work for chronic conditions, like psoriasis, eczema, and even acne. Anxiety and Stress: There are a number of methods to use lavender to soothe anxiety and stress. The natural organic compounds in the leaves and flowers of lavender can be ground between the fingers and then rubbed into the temples. This topical application can soothe the body and mind, relieving anxious thoughts and balancing out mood. Aside from this topical application of the flowers themselves, you can also brew lavender tea and achieve much the same effect. The antioxidant components of lavender can impact the endocrine system of the body to lower the levels of stress hormones in the body. Dried lavender is used in bunches, bags and pot-pourri for its scent and as a moth and insect repellant. Around the house dried lavender is better than any canned or plug-in air freshener for getting rid of nasty niffs and giving an air of calm – and being real lavender it smells better too! It almost goes without saying that lavender is well known in perfumery. Lavender has long been used for its distinct culinary qualities and this is a growing trend with more adventurous cooking and cosmopolitan tastes. All our lavenders can be used for culinary purposes, but some are more preferable than others! Individual flowers, and on stoechas lavender also the ‘ears’, can be used as edible decoration on salads and cold desserts. Use fresh flowers if possible as the colours are more vibrant. Use chopped stoechas lavender leaves in vanilla ice cream to add an extra tang! Lavender can be used in place of rosemary where that herb is commonly used. Just double the amount used. Lavender is one of the most highly prized plants for medicinal use. It is well known as an antiseptic and anaesthetic and is fantastic for relieving anxiety and stress. A few drops of oil on a pillow will help with sleep. Lavender is commonly and increasingly used as an oil in aromatherapy and is great as a massage oil for relieving muscular tension and rheumatic pain. 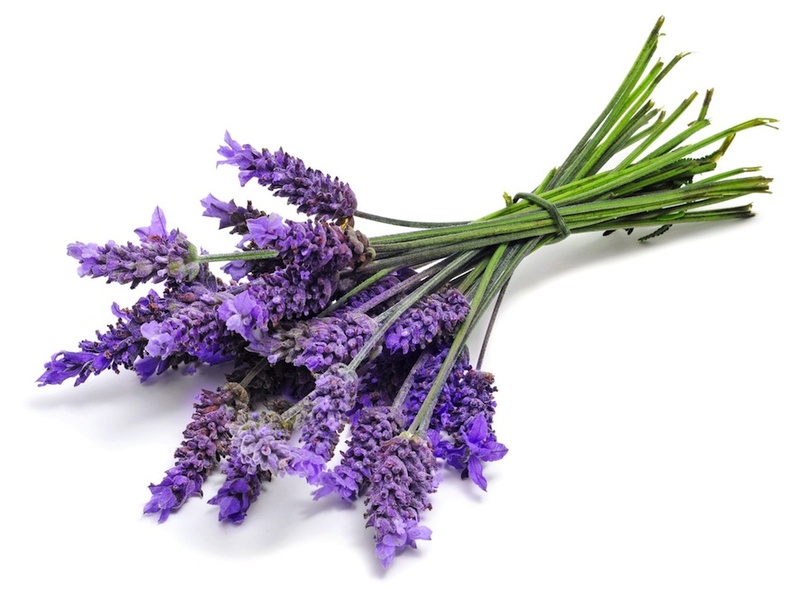 Lavender oil can be used to soothe burns, insect bites and stings.